You are here: Home / Tech / WynZyn App – View Ads to Win Money! WynZyn App – View Ads to Win Money! Disclosure: I am compensated by WynZyn in exchange for this post. When is the last time you won something? Do you have all the luck, no luck at all or never tried your luck? As for me, I have won a few things, nothing crazy though! I won a few blogger contests about 8 years ago – which actually motivated me to start my own blog! Sadly, I no longer enter contests because I am so busy running my own blog and working my “real” job. But when I came across the WynZyn app… I thought what a perfect way to potentially win something – win money in fact – without any big effort! I could earn entries for weekly winnings while I was just standing in the grocery line or sitting in the passenger’s seat of the car. I don’t have a lot of extra time (just like most of us) but I do have a lot of those random down-time moments that could be spend increasing my odds at earning some extra cash! WynZyn is a brand new sweepstakes app where users can earn entries into the weekly cash sweepstakes in exchange for viewing daily video ads via the WynZyn mobile app or logging into WynZyn.com on the computer. WynZyn is able to provide great prizes because their advertisers want to market their product to you – a highly targeted and validated audience that would be interested in the advertiser video messages based on the detailed profile information you provided when you sign up for the WynZyn app. When you sign up, you fill out a survey to identify interests so the advertiser can target ads that you would actually be interested in watching. Basically you watch a video that would be of interest to you, because of you details that you fill out in the app. You watch the video and get a chance to win great prize. The more users of the app, the more prizes and the greater the prizes become. It is a win-win (and hopefully a big win too)! This is amazing… WynZyn shares 50% of all ad revenue directly with users through cash prizes! Make sense right? Simple right? Sounds great right? You can sign up for this sweepstakes app on your phone or computer. 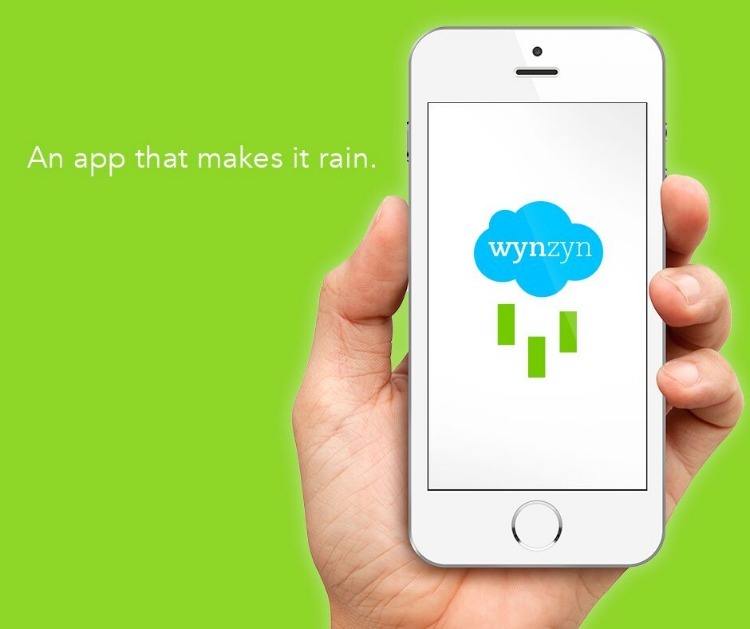 Just search for the WynZyn mobile app on your smartphone – both Android and iPhone users. Or head to WynZyn.com on the computer and sign up there. The sign up process takes no time at all. Actually, when I signed up it was exactly 2 minutes before I was watching my first ad and earning entries to win weekly cash prizes! Overall, I am not all about the cheesy marketing out there, however, I think the WynZyn app is different. It’s about making advertising fair to consumers, getting compensated to be advertised to and making some extra money (maybe a lot of extra money) while doing it. What do you think about this new inventive marketing concept? Getting compensated to be advertised to? Thoughts? There is literally an app for EVERYTHING. What a cool way to get entered into a sweepstakes. Thanks for sharing. I’ve used other apps like this, but have never heard of Wynzyn. I will definitely check it out! I have never heard of this app. I will have to check it out and see what its all about. There are so many times I am sitting and waiting on something and I could use the app. Sounds simple enough! I’ll have to check into this, any extra money is good, esp if all I have to do is watch 2 video ads! I am going to have to check this out; definitely does seem a lot different than the other stuff I’ve read about! This is so neat! I haven’t won anything in a long time. I will have to check out this app. This is a really neat concept, I have not seen it yet and now want to check it out. Looks like it would be totally worth my time! Did you say win money? Sign me up!! What a fun app and I will look more into this! I love to win blogger contests. Sounds like a great app to earn money! I have to check it out! I’ve never heard of this app til now. I like to earn money any chance I get. This looks like a good way to make some change. I’m definitely liking the shift advertising is taking here…watching ads that make sense for your life and making money…much much better. And hey it would have just been wasted time in line ad riding the bus anyway. Thanks! wow they have so many apps. technology is totally the way of the new world. this looks interesting will have to look more into it. Very cool. I feel like I look at so many ads anyway, I might as well be getting paid for it. Thanks for sharing.